There is probably someone in your life who suffers from dysthymia, but you likely see them as a little moody or simply having a sad personality. Odds are they haven’t been diagnosed because the majority of the roughly 5% of the population that has dysthymia regard the low feeling as an inherent part of their personality. Many have carried this understanding for the majority of their lives and see no compelling reason to change it. It feels, to them, “normal”. Dysthymia is characterized as low-grade chronic depression. This means, diagnostically, that a child or teenager has felt a general sense of depression for at least 1 year; in adults, the representative period is a minimum of 2 years. What is pivotal to a diagnosis of dysthymia is that the depression is not major or acute, and persists for prolonged periods of time. 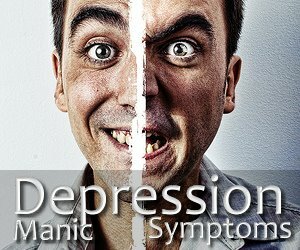 Also known as “neurological depression” dysthymia is, like most forms of depression, more common in females than males. Because most people with dysthymia assume the low feeling that they are so accustomed to is a character trait, they rarely seek help. They learn to live with being not one of those overtly happy folks we also encounter in our lives. Given its longevity and lack of major depressive episodes, dysthymia sufferers tend not to be suicidal or even particularly concerned, and since most come from families where half of their immediate relatives suffer from some form of depression, it is taken for granted as a personality characteristic inherent to genetics. By not acknowledging dysthymia in themselves and others, people are setting the stage for potentially worse problems down the road. 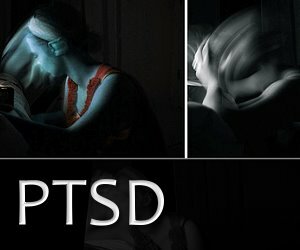 It is a legitimate mental illness that takes its toll over time. Studies conducted on the brains of women with dysthymia versus so-called normal brains have shown a difference in physiological components, especially in the frontal lobes. This cannot be dismissed as a flawed personality trait. environmental factors such as growing up in a household with depressed or dysthemic parents and/or siblings. The signs are subtle and the diagnosis, when and if the patient actually believes there is something amiss (more than just a generally low feeling) can be tricky. 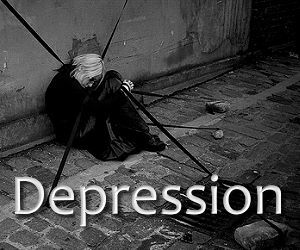 Dysthymia sometimes manifests with other forms of depression. For example, someone with dysthymia has a 95% chance of experiencing a major depressive episode, and so the larger issue can mask the chronic one. That is known as “double-depression”. Dysthymia, because of its quiet nature, tends to lie silently under more significant mental health problems. This leads to delayed treatment, in most cases, and in the 75% of sufferers that also have a chronic physical ailment or other psychiatric problem, that can be costly both monetarily and medically. Self-diagnosis of dysthymia, like any other mental illness, is advised against. When you have a flesh wound, you can see it clearly, and recognize specifically a flesh wound, and get the necessary treatment. Any form of psychological disorder can have variables, and only experts can distinguish what symptom applies accurately to a proper diagnosis. Due to the subtle characteristics of dysthymia, even psychiatrists find precise diagnose can be a challenge in some patients. One of the key characteristics of dysthymia is the inability to experience pleasure. In long-term cases, people can actually develop the ability to consciously resist pleasure. This, in turn, gives them justifiable reason as to why they feel “a bit low” all the time. 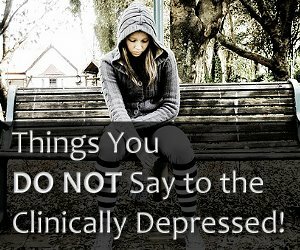 When the above symptoms list also exists in tandem with the absence of, for example, serious illness, bipolar disorder and schizophrenia, dysthymia may be present. If you think you might have dysthymia, seek medical intervention, and be sure that you are willing to accept the diagnosis and work diligently through treatment. Dysthymia tends to be approached holistically, depending on the contributing factors in a patient’s daily life, psychological make-up and influences such as their personal belief system (or sense of self worth). Like most mental illness, treatment usually involves a combination of drugs and psychotherapy, but not always. In some cases, cognitive therapy heals sufficiently without the addition of expensive and sometimes dangerous prescription drugs. Psychiatrists cite that one of the major factors in successful treatment is addressing and adjusting broken sleep patterns. Once good, regular sleep is restored, doctors have a platform from which to work and treat the other factors. Identifying what stressors affect your well-being is also pivotal. Knowledge of and individual’s causative elements is an asset in the treatment of dysthymia. The use of anti-depressants helps some dysthymia patients, but seems to hold little, or even slightly negative, effect on others; there may be some experimentation of medicines required before the ideal combination of drugs and therapy is attained. Dysthymia can also be connected to Seasonal Affective Disorder (SAD) and if that is the case, light therapy can help measurably, especially in northern climates during the winter months. Many patients, whether officially diagnosed or not, who suffer the general and on-going blahs that describe dysthymia find gradual help in the form of Vitamin D. Because this “sunshine” vitamin is easily absorbed and touts many general benefits, larger doses are regarded as safe. Pharmacists recommend a daily dose of about 1,000 IUs of Vitamin D, but dysthymia sufferers can easily double or triple that dose for a few weeks and then level it off when symptoms begin to show improvement. The normal dosage should be maintained after that. One in 20 people whom you pass by or encounter every day may suffer from dysthymia. They may or may not know it. A kindness can be had in recognizing it in yourself, or gently suggesting it when you are genuinely concerned about the people you care for. Dysthymia is treatable and, like the sun on a warm day, can draw the spirits up to a happier place, and keep this chronic low-grade depression at bay.